1. Your program has gone inactive. You will see a notice on the login page saying that your program is no longer active. This decision is made by your Program's Administrators (aka: admins). If you enjoyed Walker Tracker, let your admin. team know! This helps them gauge how successful a walking/wellness program was with your company/organization. Note: user data is deleted after 60 days of a programs inactivity. 2. Your program's admin asked that all users be cleared out of the your walking program's Walker Tracker site. Sometimes admins will request this so that everyone is required to re-register. Check recent correspondences about your walking program to see if there is mention that you will need to re-register. 3. Your admin is clearing out inactive users. Usually, an admin will issue a question that will appear when you login online to your Walker Tracker account asking if you are still active in the program. By clicking to confirm you let them know that you are still using your account and not to delete it. However, if you do not log in online and answer this question, you may be considered an inactive user and therefore your is account deleted. 4. Wrong Password. If you are trying to sign in and you're not sure if you are using the correct password, you can reset your password by clicking Forgot Password. 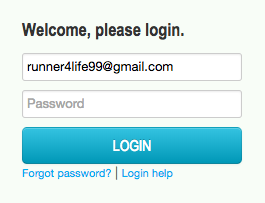 An email will be sent to the email you registered with to reset your password. When your account is deleted, all your data is lost. There is no retrieving your data as we do not save this for privacy reasons. If you believe that your account may have been removed, contact your program's admin to see if there were actions taken to clear your site or clear out inactive accounts. You will have to re-register. If none of these scenarios apply to you, contact us at support@walkertracker.com.